TolkienGuide.com - Fellowship: Question #10 - Favorite Foreign edition cover? 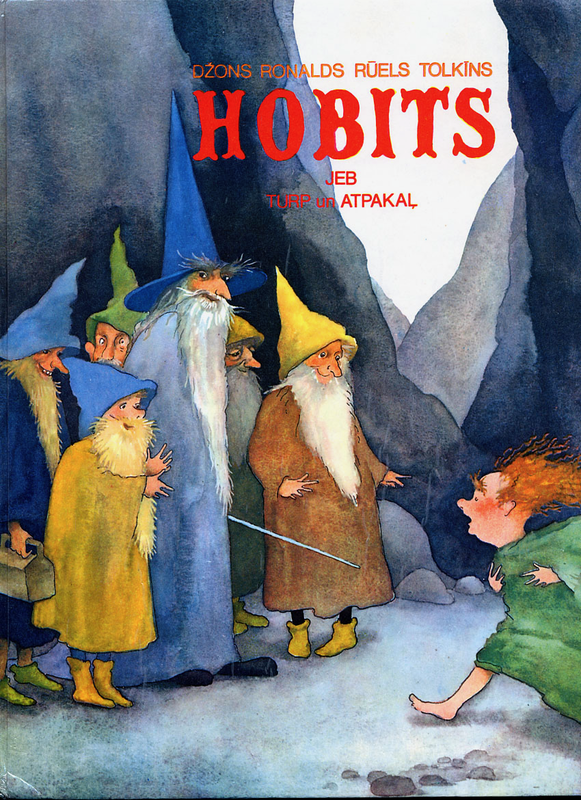 Fellowship: Question #10 - Favorite Foreign edition cover? As mentioned previously that this was coming... what's your favorite foreign edition cover for a Tolkien book? El hobito for me. Love the characters. That Bilbo's hair is about what I look like these days! That Latvian Hobbit is a nice one. Aslan? What's lion in Sindarian? The Hobbit has a stacked deck for this question based on having so many translations. Hope it's okay to join this party! 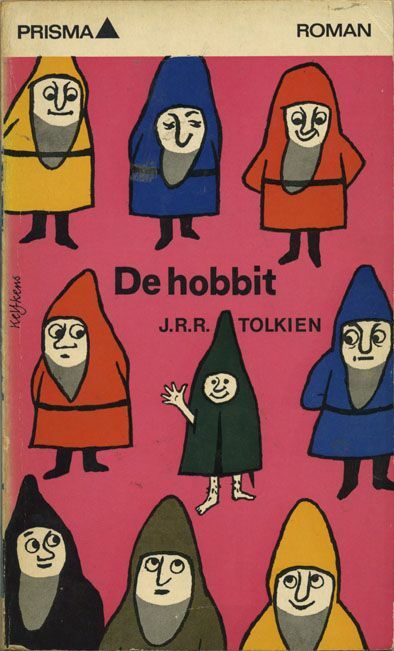 My favorite foreign cover is for the Dutch Hobbit. I love the bright pink background and the way that 2 of the dwarves are (literally?) sizing up Bilbo.